This week we have had in a beast of a small mirror. Its one of my favourites its hard to photograph it and get across exactly what it look like. 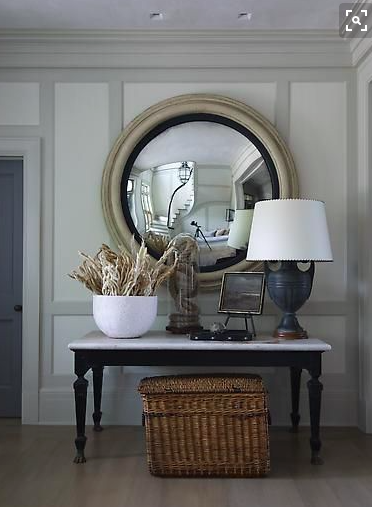 The mirror is a normal flat mirror but the frame has a convex glass to it so it almost looks like the mirror dips in. It’s like a weird look into another dimension. Its a Georgian piece in an ebonised frame but it had got me thinking about these wonderful small mirrors. 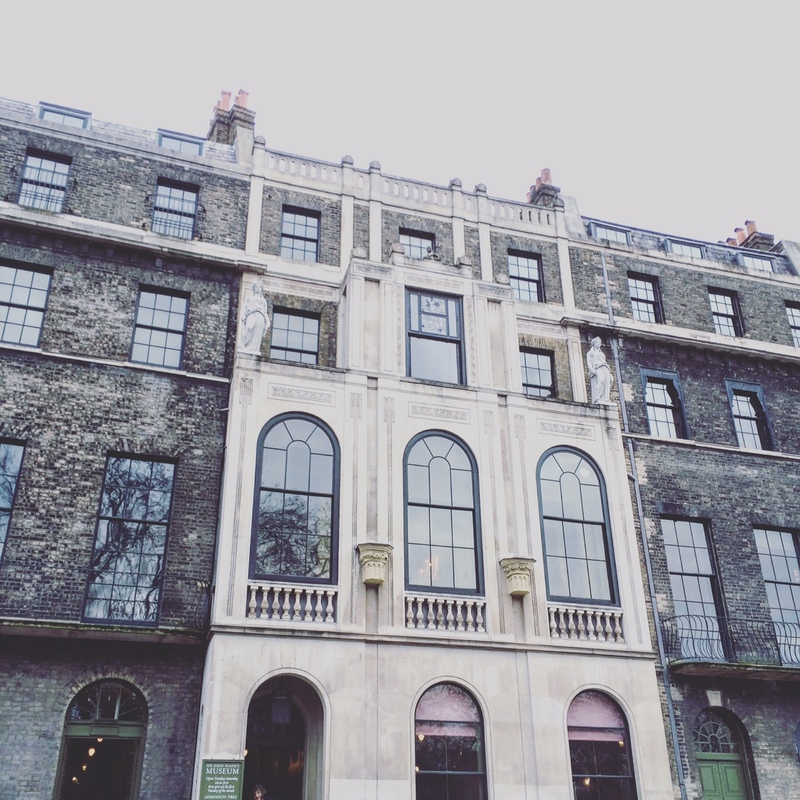 The other week we had our first visit to the John Soane’s Museum, which firstly I would totally recommend. We have been meaning to going for years, but on wandering to meet friends we pretty much stumbled upon on it. Across the square was a house so fantastic it drew us closer until we realised where we were heading. We were rather late on meeting our friends but got to spend a bit of time just enthralled and mainly gawping. 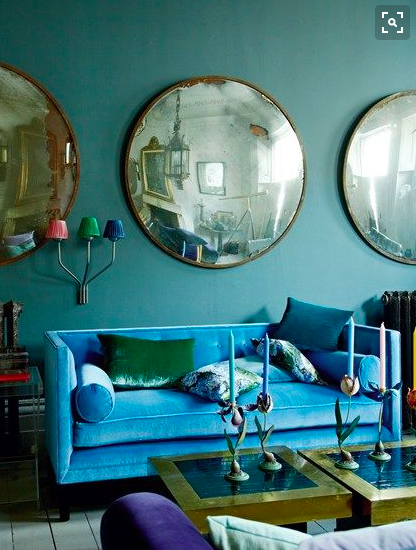 Why I mention this place is the vast array of small convex mirrors adorning the walls and ceilings. There were even really quite small ones all in often symmetry all around the rooms. They draw the eye and obviously give you a distorted view back of the place you are in adding extra mystique. 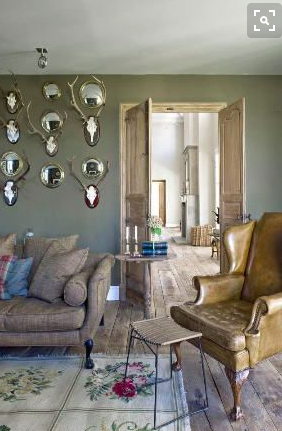 Love these huge ones in Homes and Gardens. They look great over consoles and fireplaces. This is not really our style but works really well together. 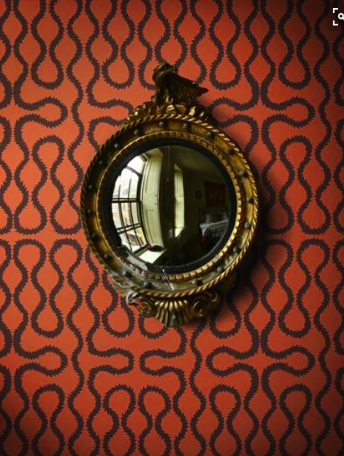 The mirror is good, but the Westwood wall paper made me add this one! Ok they just look great as singles or in sets but I have definitely got my eyes out for some teeny ones.